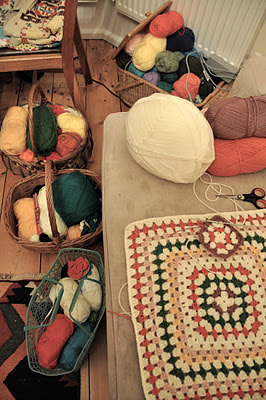 I recently bought a GIGANTIC ball of cream aran wool, which seems to be taking over half the room! 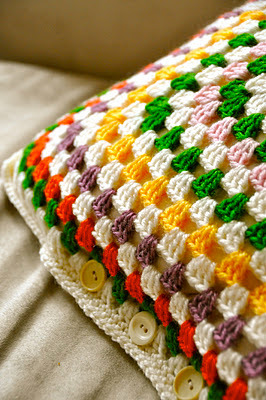 Now for the other side of the cushion. Before sewing them together, with buttons down one side.